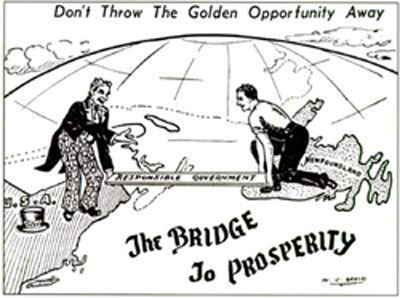 A confederate cartoon portraying a negative view of the possible economic union of Canada and Newfoundland. 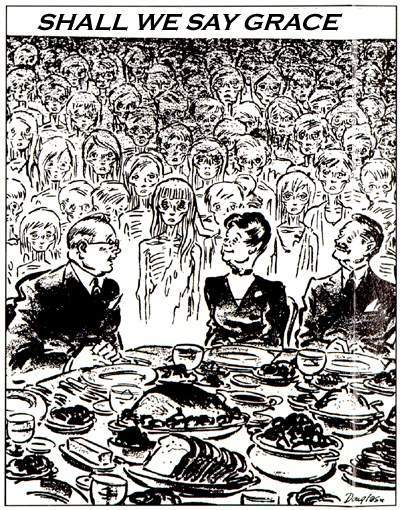 A confederate cartoon reproduced from The Confederate, 31 May 1948. 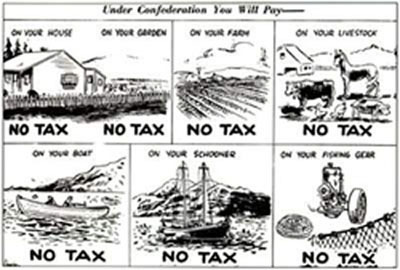 A Confederate cartoon about taxes, reproduced from The Confederate, 21 April 1948. A confederate cartoon about taxes, reproduced from The Independent 15 July 1948. 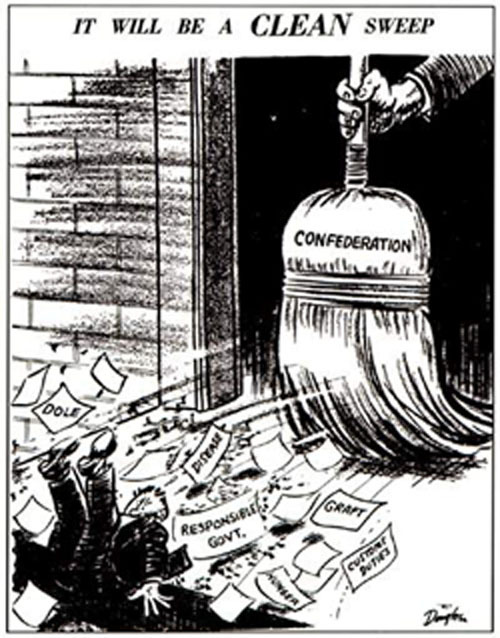 A confederate cartoon reproduced from The Independent about a possible economic union between the United States and Newfoundland.